As people age, loss of volume is one of the major issues that ages the face. Advancements in technology introduce the new dermal filling treatment, allowing cosmetic doctors to address the problem without having to perform surgery. The newest dermal filler injecting techniques let doctors add youthful volume to the face and hide lines with long-lasting effects. Based on a naturally occurring substance in the body, dermal fillers consist of an organic sugar molecule that exists in almost all organisms. It binds water, performing as an emollient and shock absorber in the joints of the body. The molecule is also important for the transport of nutrients and water balance throughout the skin. By improving the skin with the material, dermal fillers revitalise and increase volume to the applied area. They diminish lines and wrinkles while adding a natural softer look. The longevity of dermal fillers can vary. Results generally last around four months to a year depending on the filler. Various types of fillers exist, as do injection techniques. The area that is being injected may also cause variation in the effective length of the dermal filler. Depending on these factors, the effects of the procedure will have differing periods. However, the more treatments you have, the longer results will last. The discussion on how long dermal fillers will last happens all the time. It is often a deterrent or obstacle in the procedure for many, causing caution and anxiety for those who are wary. However, it is completely normal to ask how long the fillers will last. Doctors should be able to provide a rough estimate after evaluating each individual situation. Although, a bad doctor will not be able to give a fair warning and potential patients should steer clear from these practices. The problem at hand is there is no quick and easy answer. The wide number of variables that factor into filler durability will cause uncertainty. Despite being able to give an estimate, each person’s body is individual and will break down and degrade a filler at different rates. Majority of patients are injected with Hyaluronic Acid (HA) fillers. These include names such as: Restylane, Voluma, Belotero, and Juvederm. The difference between these types is mainly the manufacturing process and concentration of HA in the filler. The dermal filler will last longer the harder the Hyaluronic Acid is. HA can be in larger or smaller particles, depending on the procedure. Another influence is how tightly the particles are bound. Additionally, all HA dermal fillers are an either cross-linked or non-cross-linked. Lastly, how hydrophilic, or how well it attracts water, verifies how long the filler will last. The rule of thumb is larger particles that are closely bound, have a high hydrophilic profile and are cross-linked will last a lot longer than the rest. Fortunately, collagen stimulator fillers tend to lead to lengthier endurance. 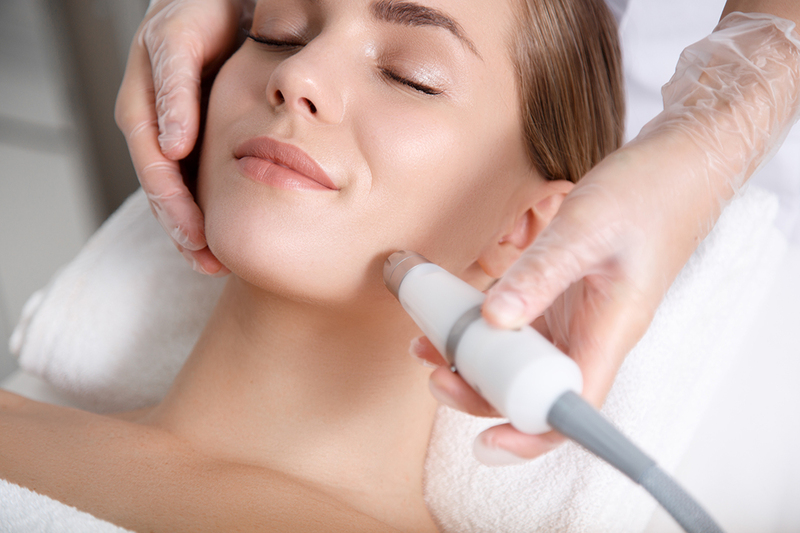 This includes quite a few different well-known names, but decent specific choices are Bellafill, Radiesse, and Sculptra. With collagen stimulators, the human body reacts to what is inserted by making an inflammatory response and places down collagen. Collagen will continue to be produced until the material is degraded by the bodily processes. Made of calcium hydroxylapatite, Radiesse has the shortest life-span out of the aforementioned group. Sculptra reliably lasts for a two to three-year duration as recorded by official studies and experiences. Another option called Artefill can be considered for permanent dermal filler procedures due to its Poly Methyl Methacrylate (PMMA) component. PMMA does not get broken down by the body and will remain stable within it for a long time. The location in the face a dermal filler is injected is one of the vital influences in controlling longevity. Faster breakdown is often more common in zones where there is more movement. For instance, lip fillers will often cause faster breakdown due to the use of the mouth. The muscles in the area some of the most used within the face, causing quick degradation. Parts of the face with less movement like the cheeks and nose will receive much longer lasting effects. Unfortunately, this downside to dermal fillers is unavoidable and should be known before deciding to go through with the procedure. Despite the popularity of lip fillers, it is ideal to be weary of their maintenance. Lip fillers will require consistent dermal filler injections to hold the youthful and fresh effects of the procedure. Ensure you find a qualified and experienced injector, ask these questions regarding reoccurring sessions before booking. Who will be performing this treatment? Do they hold the qualifications and experience to be injecting? What areas does the injector specialise in? Is there example before and after photos to see? Do you need to clarify what I want?